Flu killed a record-setting 256 Pennsylvanians this season, about 100 more than the previous season, state health officials said Tuesday. Six of those deaths were children. More than 121,300 cases were reported during the 2017-18 flu season, about 50,000 more than reported in 2016-17, according to the state Department of Health. Most were influenza type A, specifically the H3N2 strain. The contagious disease was particularly bad in Pennsylvania in January and February, with nearly 15,000 cases reported in one week in February. For five consecutive weeks, the number of reported cases in each week exceeded 10,000, officials said. Influenza attacks the nose, throat and lungs and may include the following symptoms: fever, headache; tiredness, dry cough, sore throat, nasal congestion and body aches. The state is using the record numbers to remind residents about the importance of taking precautions against the disease. 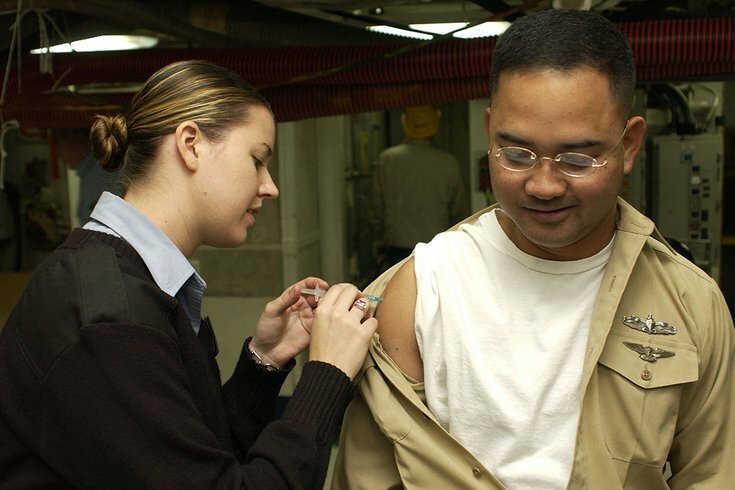 The best way to prevent the flu is to get vaccinated each year. Individuals six months of age and older should get the flu vaccine each season, ideally in October before the season begins. It takes about two weeks for the antibodies from the vaccine to develop protection against infection.